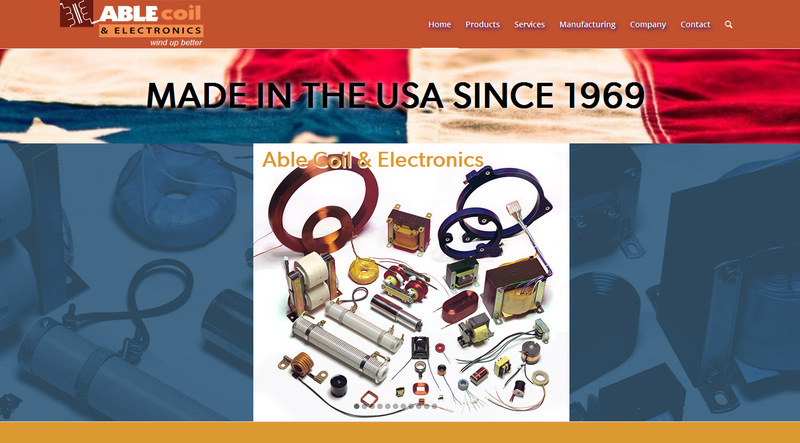 AbleCoil is an American success story: an industrial manufacturer that has created custom coils and other on-demand components for high-performance applications ranging from medical equipment to military projects. 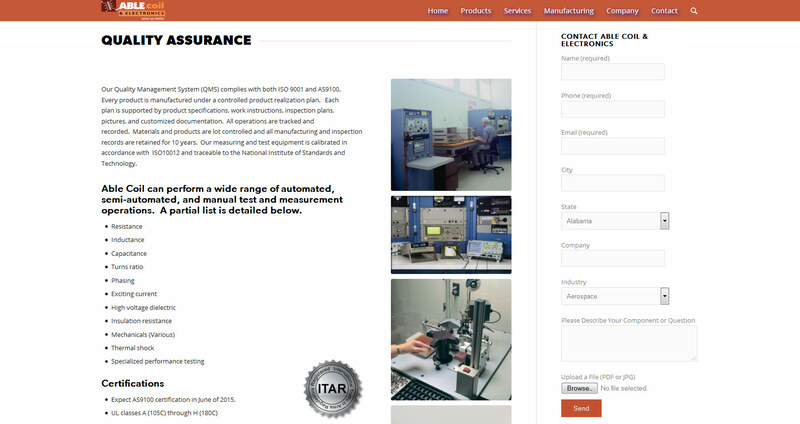 The company has decades of experience creating coils, solenoids and assemblies to the most exacting specifications, and has kept abreast of the latest developments in the industry by investing in advanced technologies and equipment. Its old website, however, left something to be desired. To represent this great company, 3PRIME created a customized, responsive WordPress-based website that featured its products in all their glory. Working with the owner and his team, we create a content strategy that would provide for many potential avenues for increasing their organic traffic from Google web search and Google image search. With a great deal of participation and cooperation, we collected hundreds of photos of components and content to fill out the website we envisioned and started to build. 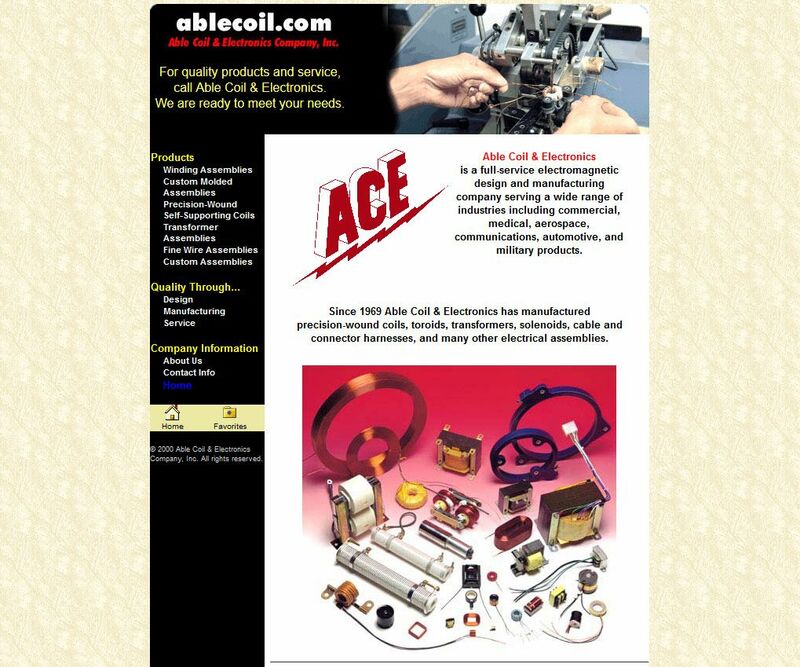 In addition to telling the AbleCoil story, we encouraged the creation of industry-specific pages for the new site that showcase the benefits of AbleCoil products to industries that demand precision and quality. 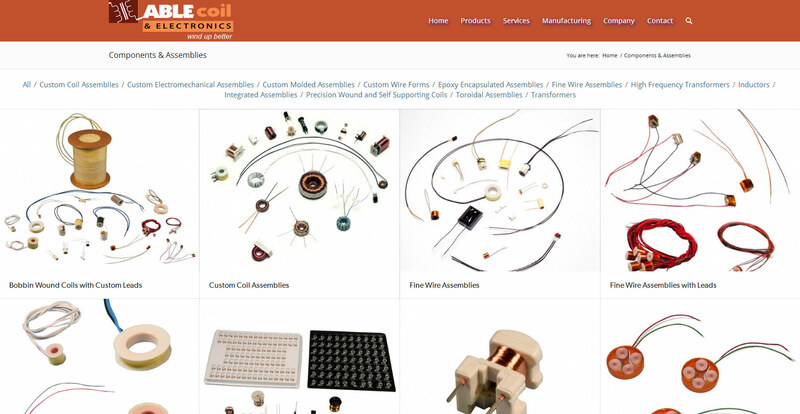 We also took product photographs provided by AbleCoil, edited them and placed them in a number of product portfolios that show the full range of the company’s custom manufacturing abilities. 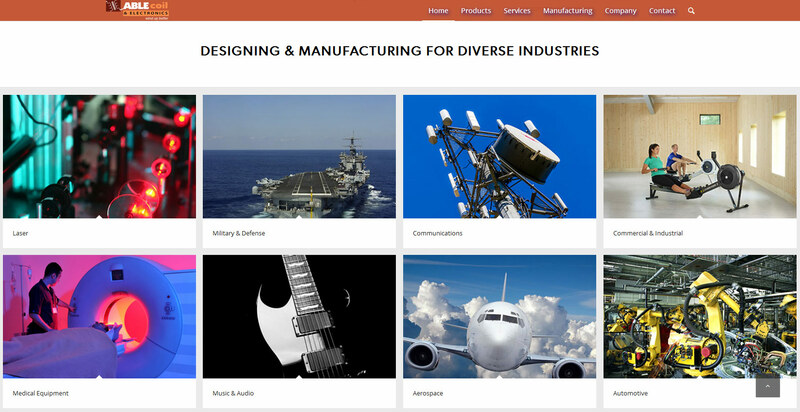 The new AbleCoil site shows why it makes sense for industrial manufacturers to invest in their web presence: a website is not just a place to list your contact information, but, in this age, increasingly plays the role of a company’s public face. A polished website with high-quality product photos that shows as much thought put in its design as your company invests in its products, conveys a sense of professionalism that will attract discerning customers from all over the world.